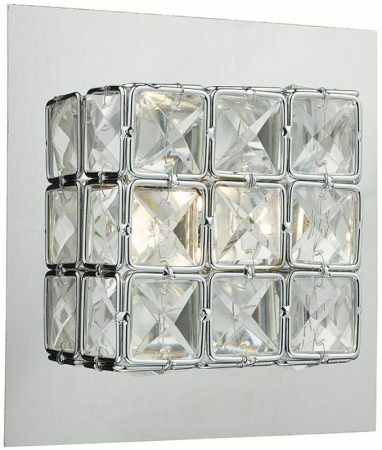 The Dar Imogen polished chrome switched LED wall light with crystal is energy efficient, modern and practical. Featuring a slim profile and 6w LED modules that gives 350 lumens of warm white light. 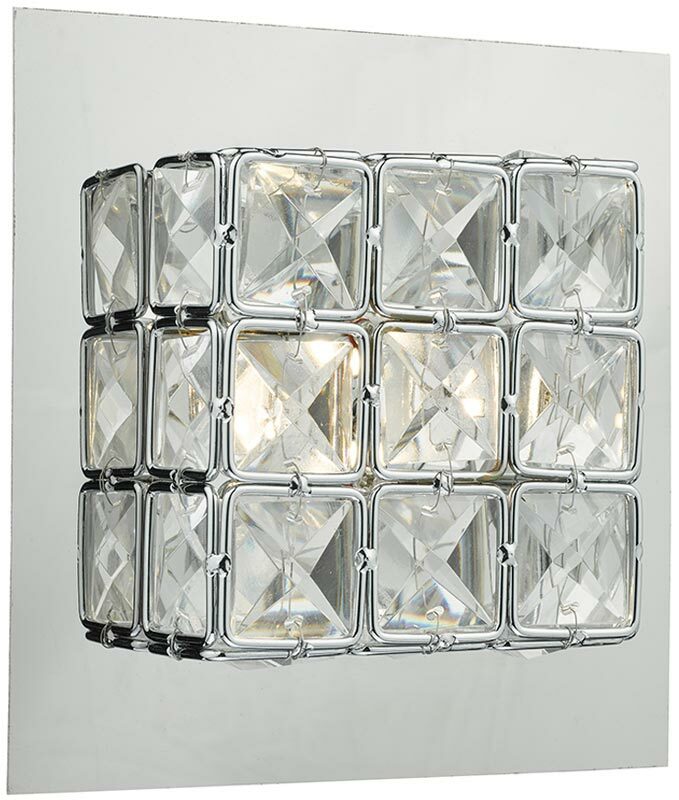 A compact, LED wall light, with mirror chrome faceplate and square of faceted crystal glass. The LED lamp is contained within the shade that refracts the light and sparkles when illuminated. Fitted with a pull cord switch that cannot be seen in the image. With faceted crystal squares set in a smart polished chrome frame, this compact wall light delivers a great sparkle and adds a touch of modern luxury to any décor with the economy of LED. Please note that this fitting has a square wall mount that can be seen when viewed from the side. There is a matching LED flush ceiling light in the Imogen range that can be viewed below.